Astronomers have detected the light from dozens of new star clusters in the largest survey of its kind. In astronomy, an observation method called spectroscopy extends humanity’s reach into the cosmos. Through spectroscopy, astronomers can study different wavelengths of light coming from very distant objects in the universe, from single stars to massive galaxies, and determine their chemical composition. The technology may, one day, uncover life-giving molecules in the atmosphere of an exoplanet. It’s a very cool thing, so it’s unfortunate that spectroscopy’s name makes it sound like an uncomfortable medical procedure. 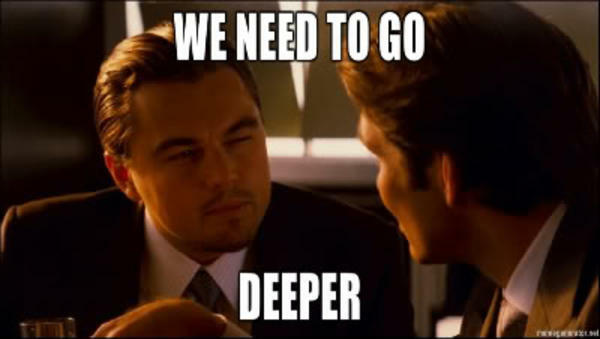 Here’s another way to think of the method: It’s the Leonardo DiCaprio of astronomy instruments, the Inception version, who insists, again and again, that we go deeper into the unknown. Recently, one international team of astronomers spent two years heeding Leo’s call. The team, led by Roland Bacon of the Centre de Recherche Astrophysique de Lyon in France, used a spectroscopy instrument called MUSE, installed on European Southern Observatory’s Very Large Telescope in Chile. They pointed the instrument at a small patch of sky known as the Hubble Ultra-Deep Field. The field is our deepest view of the cosmos, a photograph of the universe as it was 13 billion years ago. The Hubble Space Telescope captured the view in 2004 after spending several months absorbing the light from the earliest galaxies. The survey ended up measuring the properties of 1,600 faint galaxies, which the astronomers say is 10 times as many as have been recorded using other ground-based telescopes over the years. The survey includes 72 galaxies that have never been detected before, not even by Hubble. Altogether, the data have produced the deepest spectroscopic observations ever made, according to the team. Their findings are described in 10 papers published Wednesday in Astronomy & Astrophysics. “When we started the project, I did not expect that we would be so successful to detect so many galaxies,” Bacon said in an email. The survey also found that the presence of halos of hydrogen gas around galaxies is a pretty common phenomenon in the early universe. Observing these halos is key to understanding the fundamentals of galaxy formation, Bacon said. The new survey demonstrates how spectroscopy can spice up the usual ways astronomers study distant galaxies, said Massimo Stiavelli, an astronomer at the Space-Telescope Science Institute in Baltimore. Instruments like MUSE have the capacity to provide information about the chemical compositions of every galaxy in their path, whether they can be detected in visible wavelengths of light or not. The MUSE survey provides a tiny hint of what’s to come, when NASA launches its next space telescope, the James Webb, in 2019, kicking off a veritable spectroscopy party. The Webb, an infrared-light observatory, will be capable of measuring the spectra of some of the most distant exoplanets, stars, and galaxies in the universe. Stiavelli said he has no doubt Webb will find the 72 galaxies the MUSE team discovered, and see them in even greater clarity. When that happens, Webb will unseat MUSE—as well as pretty much every other similar tool on or around the planet—as the Leonardo DiCaprio of astronomy instruments. “This is a very meaningful appetizer of things we should be able to do with James Webb,” Stiavelli said.